We accept cash, VISA, Mastercard, and email money transfers. Q: What happens if we go over our agreed time? The hourly rate for above the agreed time is $150 per hour for an 8 passenger stretch and $200 per hour for a 14 passenger SUV. Q: Our plan has changed and more people need a ride. Can you fit 15 people in your 14-passenger limo? No. 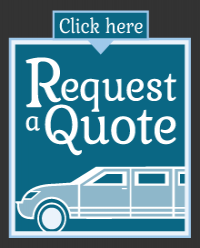 We cannot exceed the number of passengers that our limos are licensed for. Our 8 passenger stretch limousines hold a maximum of 8 people, and our 14 passenger SUVs hold a maximum of 14 people. This policy is strictly adhered to for your safety. Q: What is a standard gratuity? A typical gratuity for a chauffeur is 15-20% of the total cost of the limousine service, similar to that for a server in a restaurant. The night went perfectly, thank you!